IIM Calcutta recently concluded the summer placement process for the 2017-2019 batch and successfully placed 100 per cent of studnets within two days. A total number of 180 firms from diverse sectors had participated in the summer placements at IIM Calcutta. New Delhi: IIM Calcutta recently concluded the summer placement process for the 2017-2019 batch and successfully placed 100 per cent of studnets within two days. A total number of 180 firms from diverse sectors had participated in the summer placements at IIM Calcutta. The campus was laso visited by NITI Aayog, which made five prestigious offers. The campus also saw five private equity firms and seven investment banking firms participating in the summer placements. A press release from the Institute said that a total of 188 offers which make up to 41 per cent of the total batch were from finance and consulting sectors. In Finance sector, Golman Sachs made the highest number of offers. In Consulting, Boston Consulting Group emerged as the top recruiter by hiring the most number of students. Students were also placed in other major sectors such as marketing, general management, e-commerce, operations and product management. Coke was the major recruiter in marketing while for Operations and General Management Ubera nd Aditya Birla Group were the major recruiters. 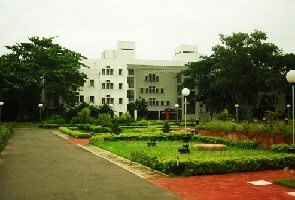 IIM Calcutta is the first triple crowned management school in the country. Triple Crown is the accreditation awarded to business schools across the world by three major international accreditation bodies, namely AACSB (Association to Advance Collegiate Schools of Business), AMBA (Association of MBAs) and EQUIS. The Triple Crown accreditation was awarded to 77 business schools worldwide till October 2017.